8 Fresh WARM WEATHER recipes for Spring and Summer dining and entertaining. It always seems like as the temps start to heat up my schedule gets busier, so I’m always looking for something quick and delicious I can make for dinner. 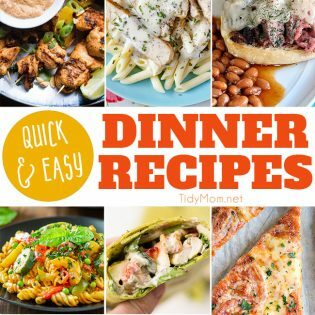 I have found several quick, fresh and delicious dinner recipes you can make any night of the week. Let’s get cooking!! WARM WEATHER RECIPES TO MAKE TONIGHT! Easy Pan-Seared Salmon With Cucumber-Lime Salsa takes less than 20 minutes from start to finish! Fresh salmon is richly textured, highly flavorful and is a heart-healthy meal!! The cucumber-lime salsa on top provides the perfect essence for a meal that everyone is guaranteed to love! This zesty Lime and Cilantro Marinated Skirt Steak is incredibly flavorful and juicy! When paired with a simple summer salad, it makes an easy weeknight meal for warm weather! Sheet pan dinners are such a delicious way to get a healthy meal on the table without a lot of work or dishes. Your family will love this recipe for a Mediterranean Cod Sheet Pan Dinner and you’ll love how easy it is to make and clean up after. Salsa Pulled Pork Tacos is an easy slow cooker dinner recipe the whole family will love. There’s no doubt you’ll be surprised at how simple they are to make — dare I say effortless?! They are sure to become a new staple recipe in your house. The marinade for this Cilantro Lime Grilled Chicken is so simple to make! Marinate chicken, then toss them on the grill for a quick and delicious summer meal. Juicy, flavorful and super easy to prep and make, this 10 Garlic Clove Marinated Grilled Filet is perfect for that weekend when you want to grill! 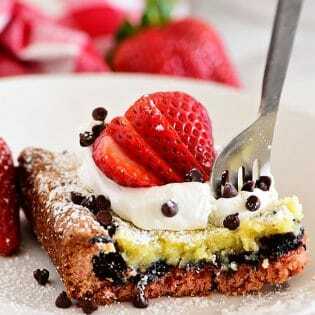 It’s mouthwatering and so tender! Loaded with fresh, delicious tomatoes, onions, peppers, olives, and mini-pepperoni, this Italian Tortellini Salad could easily be a meal in itself. The perfect pasta salad or side dish for any pot-luck, picnic, cookout or backyard barbecue! This easy Bruschetta Chicken Recipe is super flavorful, light, and perfect for dinner! This chicken breast recipe is a great change of pace from your traditional baked chicken recipe. Serve with a big salad for the perfect for warm weather meal. 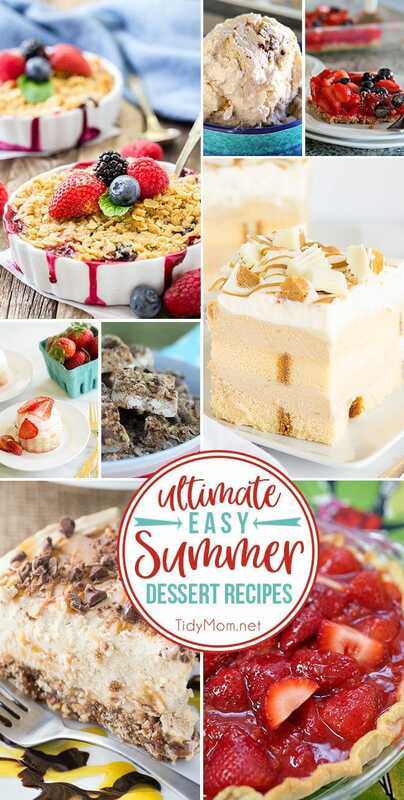 Because every meal needs dessert…… here are some warm weather Easy Summer Dessert Recipes to try. 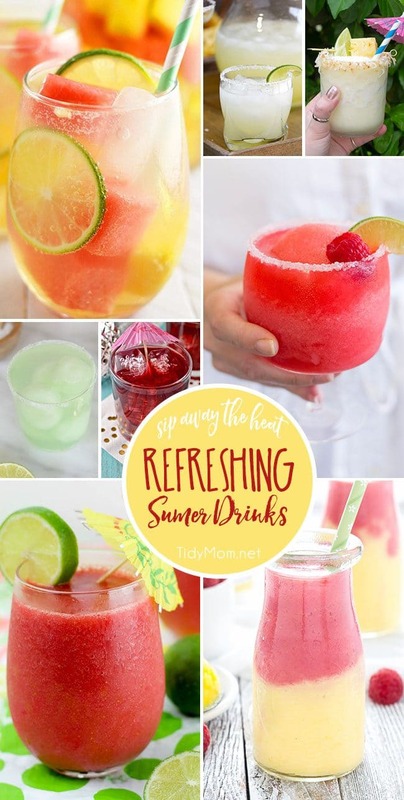 Sip away the heat with these Refreshing Summer Drinks. 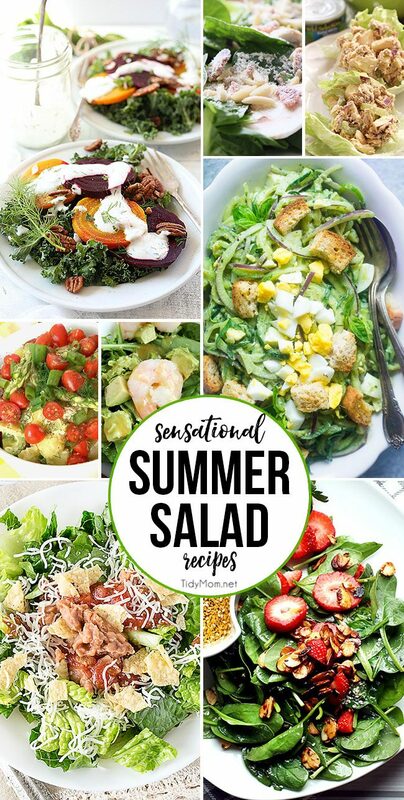 Sensational Summer Salad Recipes for warm weather dining. This is week 408 (8 years) of hosting this I’m Lovin’ It linky party. Each week I feature some of the posts that caught my eye from the previous week. Please take a moment to visit the featured blogs ……..then scroll down to see what’s being shared this week. Thank you for including my recipe this week Cheryl! I appreciate it! 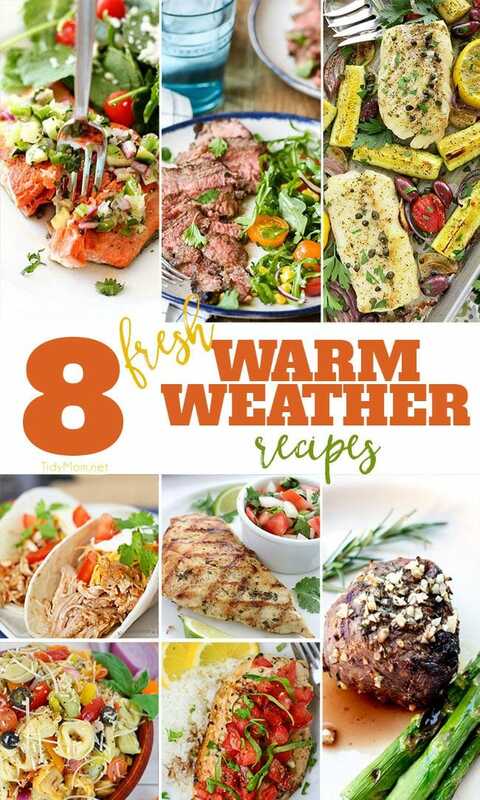 I sure love warm weather food – thrilled to be included with all those delicious recipes! Hope you have a great weekend Cheryl! Can you believe we’re already two weeks into May? They’ve flown by! Have a great weekend! Thank you so much for hosting another great party Cheryl! !